Years ago, folks wondered what the story was behind the man who lived in the tiny brick house on Wickens Avenue. Burlington’s Bill Graham was charming, small in stature with a strong jaw and pale green eyes. He had a thick accent — northern English, more Scottish, and indeed he grew up nearer to Glasgow than London. He enjoyed reading a gude buke. But why did he speak fluent Italian? And also Serbo-Croatian? 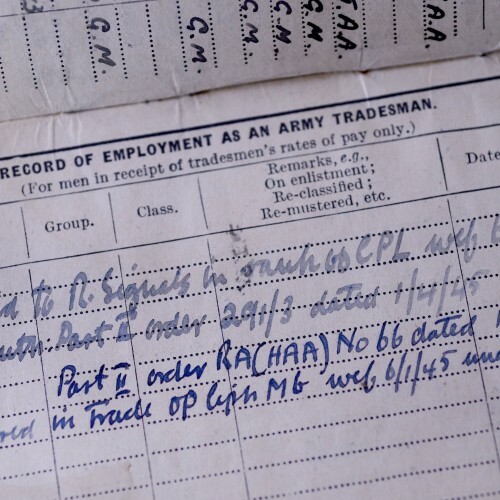 He served in the Second World War but said nothing about it. Curious, that he landed a job in the 1960s in accounting with no experience. 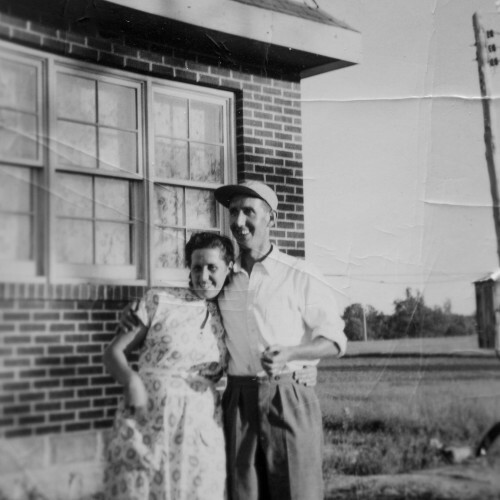 Before that he worked at Halliday Homes near Maple Avenue and Ontario Street, and when a boxcar of lumber pulled up, Graham’s task was to eye the load and do a quick volume calculation. That’s his youngest daughter speaking, Brenda Cox-Graham. She was a child when she arrived in Canada in 1948 and long ago lost her accent, but not her northern English pluck. When she was growing up, Brenda knew her father had a knack for numbers. She saw him crunch figures and formulas in his head faster than a calculator. She knew he was in the war, travelled the world. She didn’t try to make the connections though, figure out who he had been, or discover the history he strode through. 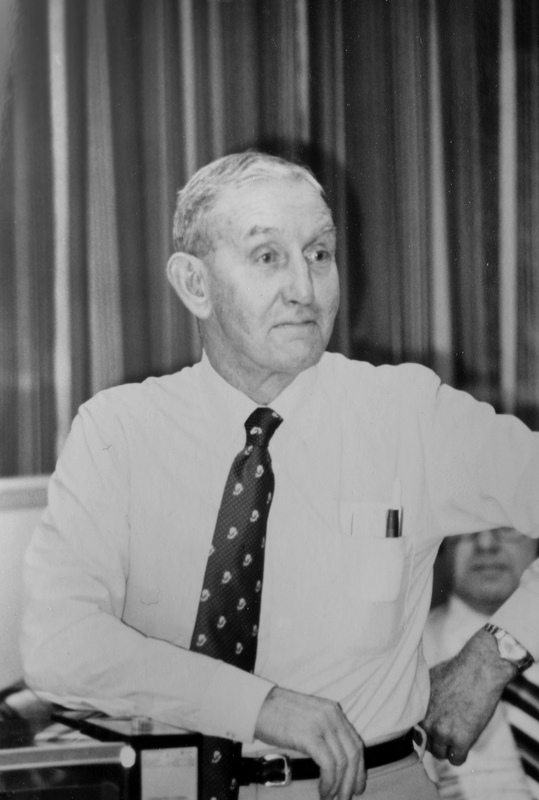 Why did Bill Graham decide to one day start writing his life story? The memoirs sat in a box for 30 years until Brenda started reading. We spend our lives believing we know those close to us. Yet even in the social media age, where on the surface nothing seems private, codes are not easily broken. Truth is, his daughter never knew much more about her father than those who had wondered if he had been a spy. Shiny brass maple leaves: Bill Graham’s first vision of Canada, even though he was still a lifetime away from coming here. It was near the end of the First World War and the boy stared at uniforms of the two soldiers — brothers of his aunt — who had come overseas to fight, wearing their riding breeches and spurs. 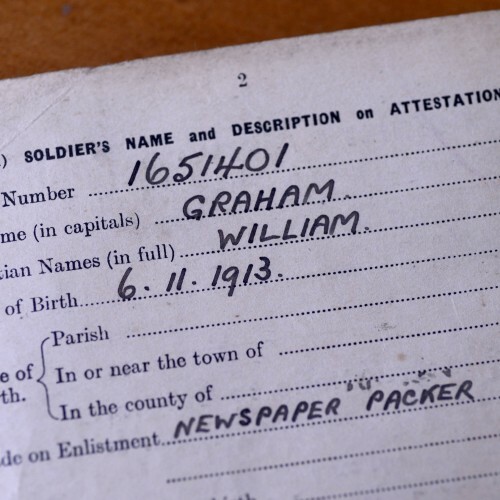 William Graham — his middle name was Cartledge, after his mother’s maiden name — was raised in northern Ancoats, England, one of the worst slums of Manchester, which forged in him a dim view of class division and the spoils of wealth the rest of his life. 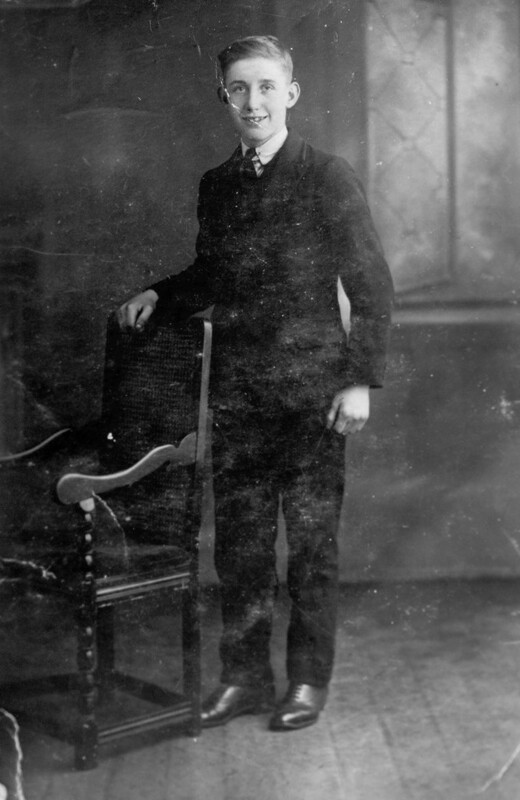 Soon after he was born, his father, a heavy drinker, died of tuberculosis at 26. 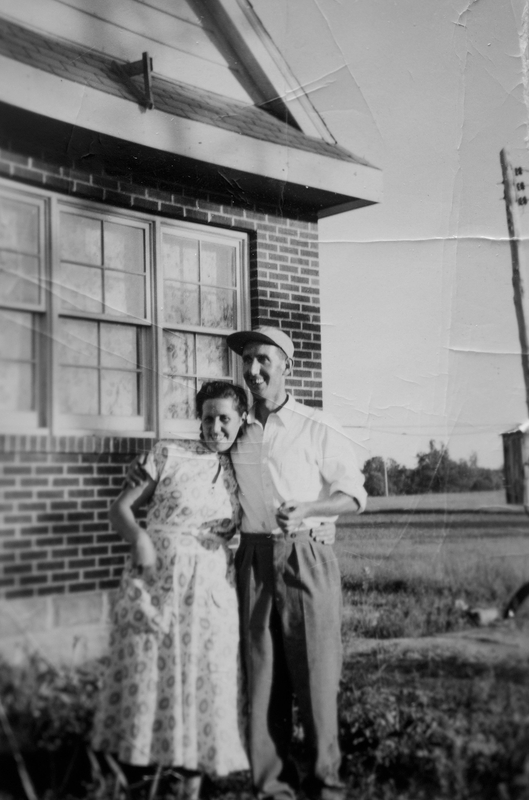 His biological mother emigrated to Canada with an infant daughter, leaving him to be raised by an aunt and uncle, whom he called mom and dad. That second mom died young; Graham’s adopted dad took it hard, went on drunken binges for months and pawned most everything he owned. Fish was cheap. A man pushed a wheelbarrow down the street calling out cockles, mussels, kippers. Hot pot stew was another staple, containing, if you were lucky, mystery meats: tripe (lining of a cow’s stomach), cow-heel, trotters (pig’s feet). Even much later in his life, in Canada, Graham never got over feeling guilt when he sat down to a steak dinner. He excelled in school as a boy. His reward for finishing second on an aptitude test in his class of 45 was a severe caning — his teacher accused him of having slacked off since clearly he had natural intelligence. His instructor was a former Oxford University math department chair who, he heard, had been demoted to elementary school teaching after refusing to enlist in the First World War. Graham aced a higher-education entrance test, which was unheard of for a student living in poverty. He was offered an academic scholarship but it only covered tuition. With no money he simply finished public school and got a job at 14. He earned ten shillings a week (two dollars) that he handed to his dad and was allowed to keep threepence (five cents). His job allowed dad to hit the pub with more regularity. His son would find him passed out under the kitchen table and dragged him to a couch to sleep it off. 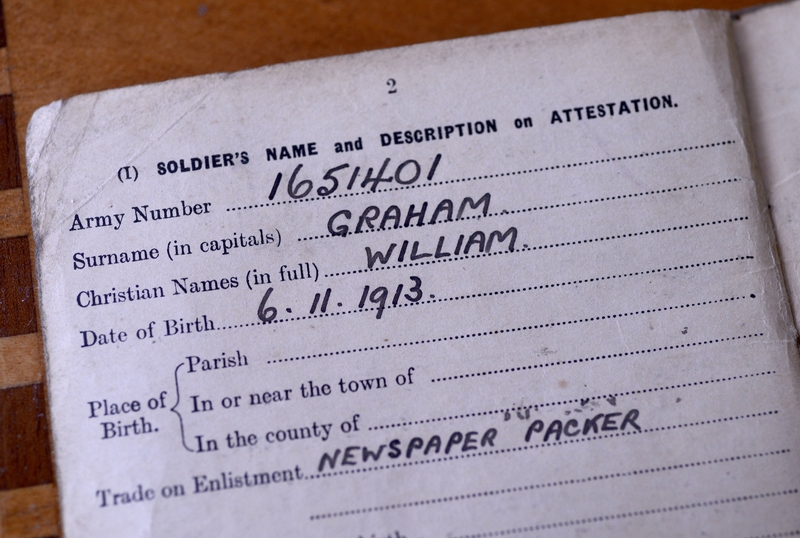 At 16 Graham enlisted in the army reserves. Growing up he had seen blind and limbless men returning from the front. He had no illusions about the military. But it offered regular meals, sports, a uniform, boots, and an adventure five hours from home where he slept in fresh air on the south coast at Folkestone. At 19 he met a woman who worked at a herbalist shop and also in a factory sewing garments. Her name was Olga. They married and in the spring of 1938 they had a girl, Elizabeth. On Sept. 3, 1939, he and Olga stood before their radio and listened to Prime Minister Neville Chamberlain announce they were at war with Germany. Graham was based at an anti-aircraft battery near London. His birth mother, still living in Canada, mailed Olga a parcel of tea bags. She unstitched each one to make loose leaf tea, English style. On Jan. 31, 1942, after Graham fired shells at a German bombing run, he read the telegram: Olga had given birth to their second daughter. In April 1942, he embarked from Liverpool on his biggest adventure yet, boarding the Viceroy of India, the ship’s destination a secret. The ship tossed and turned in the North Atlantic, a vessel built for 800 holding 5,600 troops, the deck awash in vomit and other waste. They survived on nasty tea, porridge made from salt water, hard biscuits, and malaria pills. 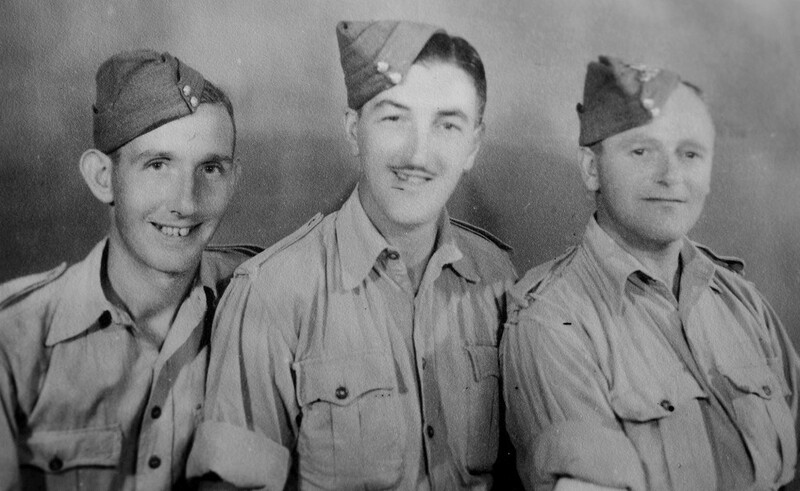 William Cartledge “Bill” Graham, far left, pictured with two of his buddies in the service. 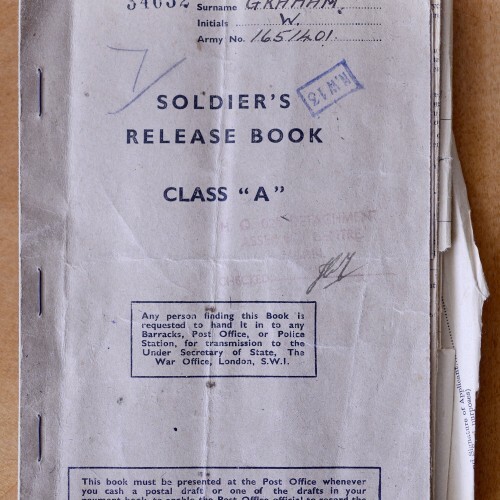 Graham was promoted to sergeant while serving in the Middle East as one of the Eighth Army’s Desert Rats, and then dropped down to corporal when he was assigned to British Intelligence. Five weeks later they docked at Durban, South Africa, up the coast to Madagascar, and later entered the Red Sea, and Suez Canal, before disembarking in Egypt and marching six kilometres in the sand to pitch tents, the temperature 50 C, blinded by sweat, covered in flies. 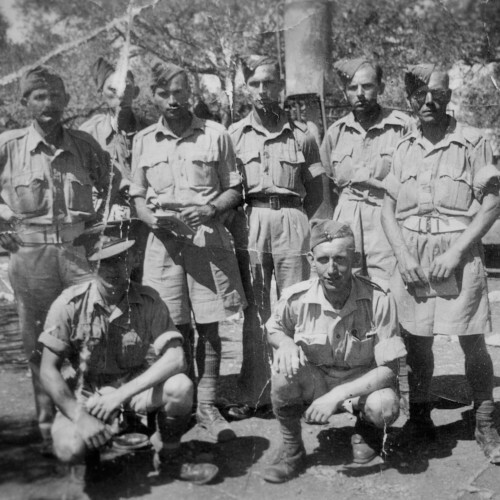 Bill Graham with buddies during adventures that took them from Liverpool to South Africa, Egypt, and Italy. 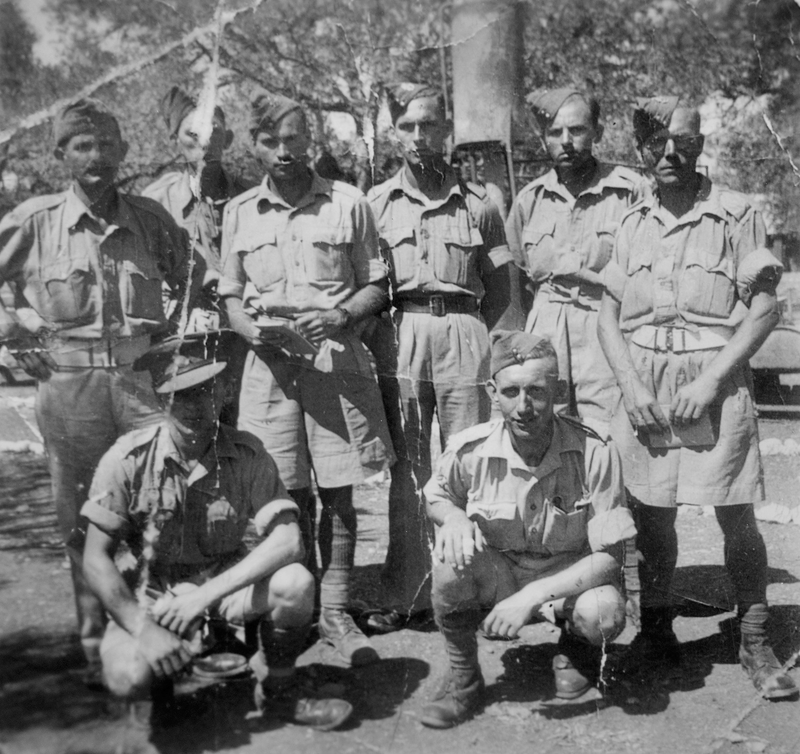 He was part of a lean, battle-and-heat hardened group: the Eighth Army, the famed Desert Rats. They rode a train through the Sinai Desert, stopped in Haifa, in what is now Israel to defend oil refineries against air raids. 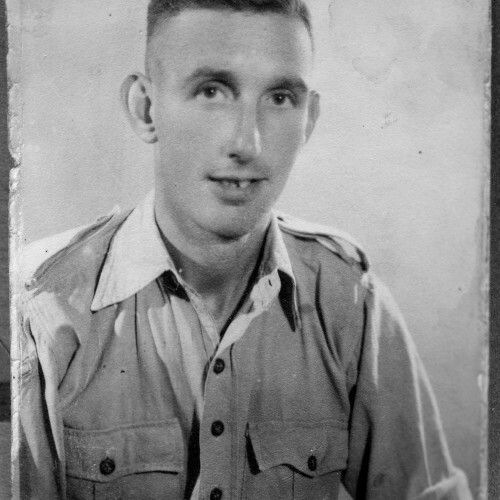 He returned to Egypt, camping near Alexandria, where Graham spent three weeks in hospital with sand-fly fever which left him temporarily blind and disoriented. 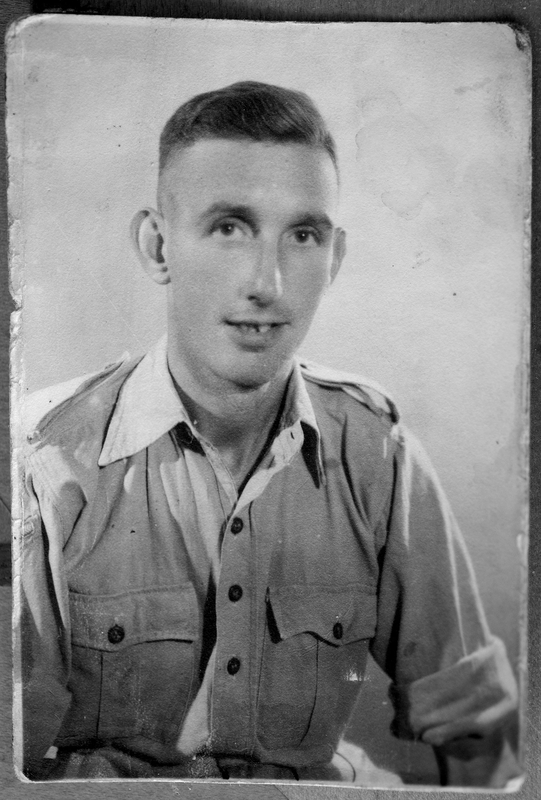 Bill Graham, photographed while serving with the Desert Rats of the British Eighth Army in Africa. 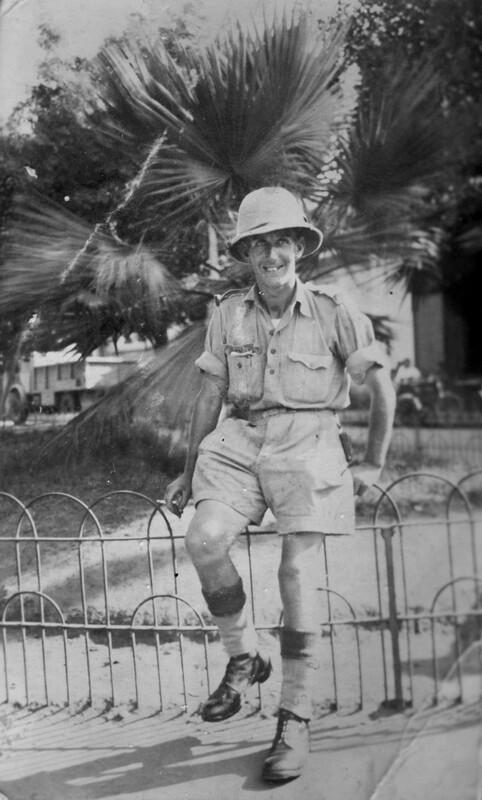 When he was stationed in Alexandria, Egypt, he was hospitalized for three weeks with sand-fly fever. Later his unit steamed through the Mediterranean to the Italian port at Taranto, which the Royal Navy and Royal Air Force were shelling and bombing to pieces. The Italians under Mussolini had just surrendered to the Allies, but the Germans were still fighting. On June 5, 1944, his unit helped take Rome. He wrote that it was not a dramatic moment. The Germans had retreated; Graham heard the reason was that Hitler had wanted to spare the city from destroying its artistic heritage. That had not been a concern when Hitler bombed London. 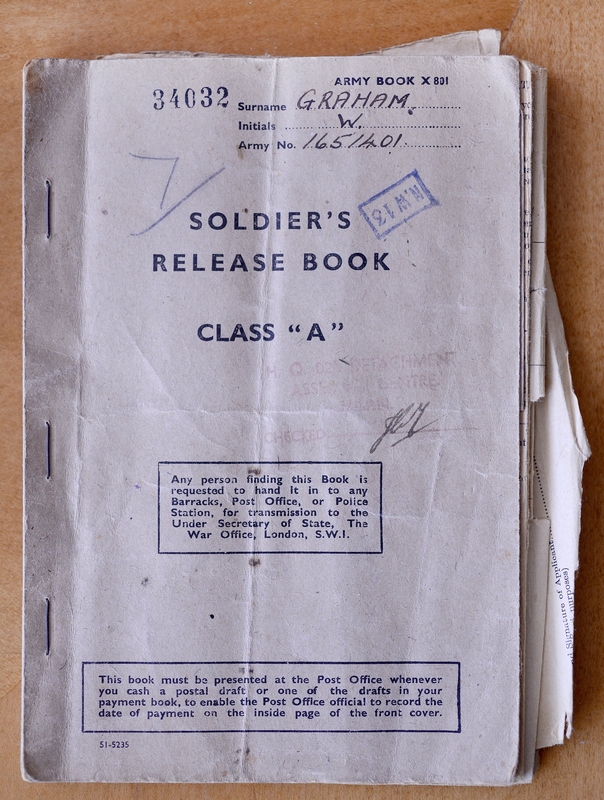 The next day Graham heard D-Day had been launched on the coast of France. He hired a guide to take his buddies on a tour of the Vatican and was staggered by its riches in contrast to poverty outside the gates of St. Peter’s. As they stood admiring a Michelangelo painting, Pope Pius XII approached and shook their hands. 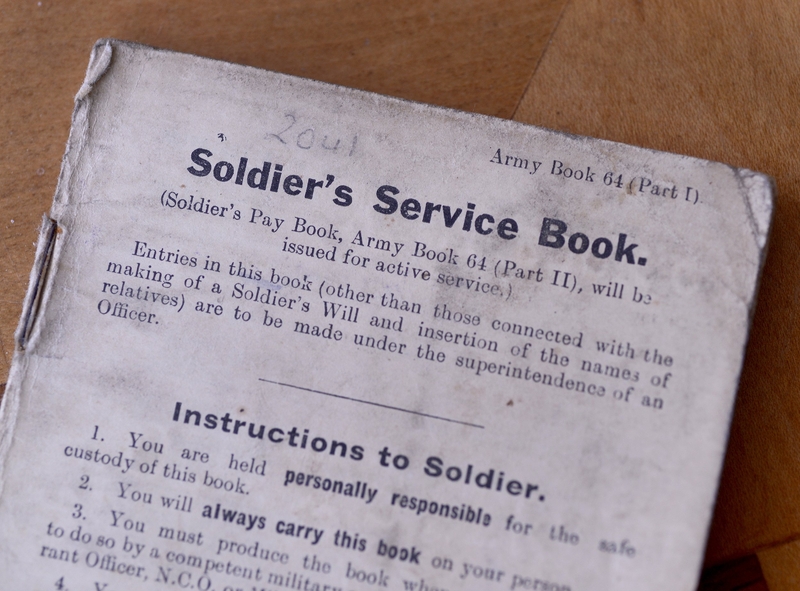 His unit was soon disbanded and soldiers took exams to determine their next posting. An officer told Graham he had scored quite high. 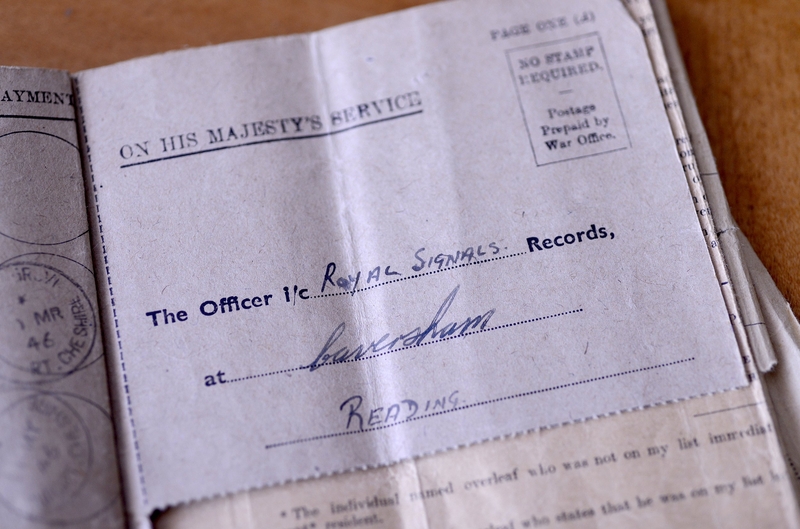 He was the only one from his unit who would be posted to Royal Signals, Cyphers and Codes Section. “What the hell is that?” he said. British Intelligence, the officer replied. The Germans’ enigma code machine had been cracked early in the war. 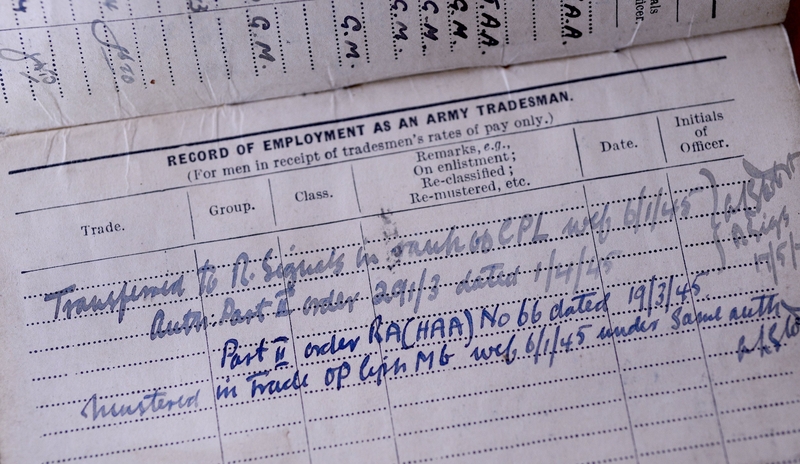 Graham was joining a branch of the service that had secretly been playing a critical role. He reported to a class for training. He struggled to solve the problems. On the fourth day, feeling a splitting headache coming on, something clicked. He lost a sergeant stripe now that he was in a new branch of the service. He was a corporal. On the bright side, no more spit and polished boots and sleeping in tents — he was indoors, on a cot. “And father was told that from now on whatever he saw and heard was not to be discussed,” Brenda says. He passed the code breaking course and was posted near Naples. Feeling bored initially with his new job, he volunteered for a mission unaware what it would be. “Have you ever been to the Balkans, Graham?” an officer said. 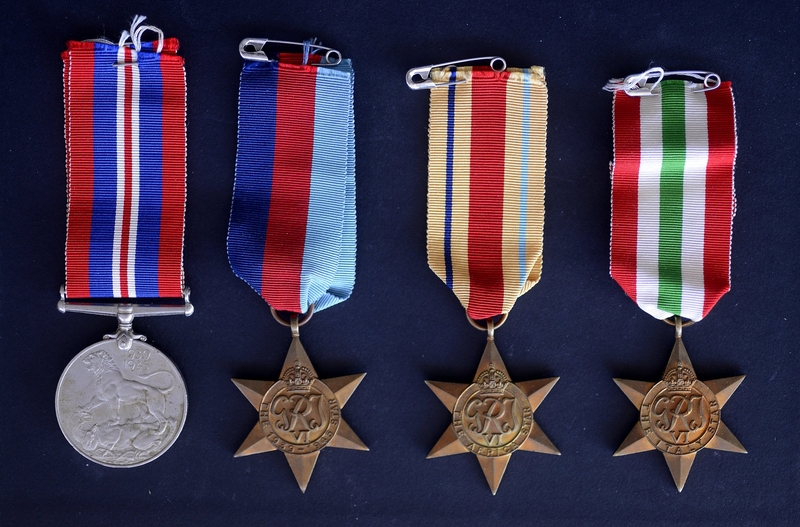 It was a Special Services unit, one that launched commando raids across the Adriatic into German-occupied Yugoslavia. The next morning he boarded a plane for the first time in his life, at Bari, Italy; a twin-engine craft peppered with old bullet holes. It pitched and lurched the entire flight. The pilot told Graham they always flew in poor weather when Luftwaffe fighters were less likely to attack. They flew high over the Julian Alps and with no oxygen source he could hardly breathe for a half-hour. They flew inland over Serbia, landing in Belgrade, where he was greeted by one of the partisans of Marshal Josip Tito. 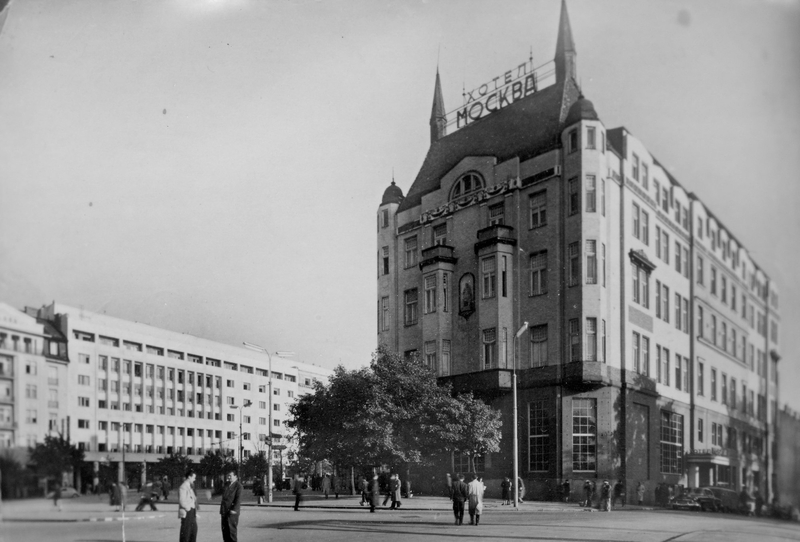 The hotel where Graham worked breaking code. Graham’s new quarters was a room at the Hotel Balkans. The desert rat now lived like a king: clean sheets, a bed instead of a cot, carpeted floor, hot showers, a big mirror and a clothes wardrobe. British forces in Italy supplied air cover for Tito to attack German positions in Yugoslavia. 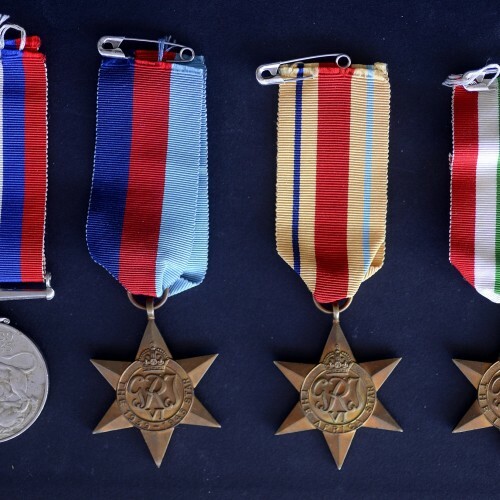 Graham’s job was to co-ordinate the bombing runs through a radio link with British intelligence in Italy — encode and decode instructions flowing both ways. One day he was told he had a special message to decode: it said he was granted a leave home to England. There Olga had suffered the stress of air raids as she cared for their two young girls. He returned to Belgrade but knew the war was winding down. Still, even though the allies had secured the region where he stayed, danger lurked — and not just from the Germans. Russian forces were also stationed there and Graham never walked to the café at night so much as wearing a watch or ring because Russian soldiers so frequently robbed pedestrians at gunpoint. He started his days with a good cup of tea, read letters from Olga, and sent coded telegrams to Prime Minister Winston Churchill. 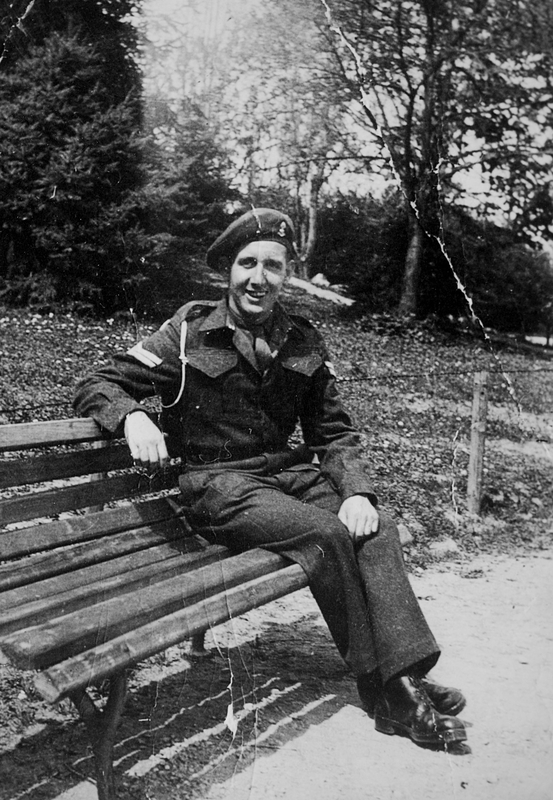 Another brush with Canada: Graham worked alongside British Field Marshall Harold Alexander, commander of all Italian theatre forces. After the war, Alexander was named Canada’s Governor General, serving until 1952. On April 30, 1945, Hitler committed suicide in Berlin. A week later, in his code room in the hotel, Bill Graham switched from his direct code line to London in favour of the radio. He listened as Churchill declared the war in Europe was over. 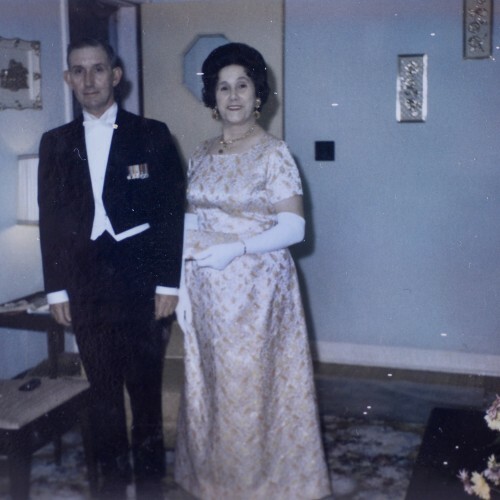 The victory dinner would follow, with Tito at the Royal Palace; endless toasts, kisses on the cheek from French, Yugoslav and Russian officers. But in that moment, alone in the code room, hearing Churchill’s voice, Bill Graham once again saw death and destruction, and felt empty. He wrote a letter to Olga. He was coming home soon. 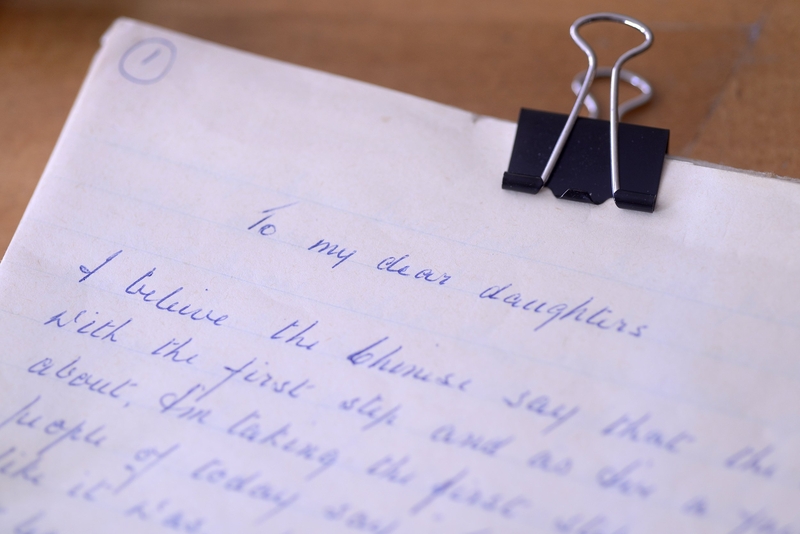 Daughter Brenda Cox-Graham knew nothing of her father’s secretive work until after his death, when she discovered a journal he kept. Elizabeth, her sister, has three kids: Kate, Rebecca, and Ian. 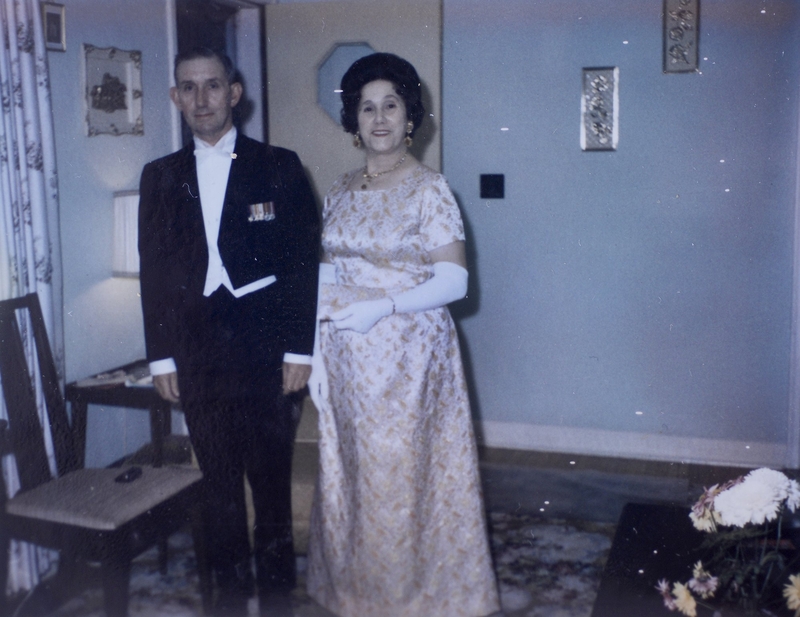 Brenda kept her father’s memoirs in a box for decades. She would love to publish them someday and plans to mount the original writings in a shadow box. Bill Graham died in 1982, at 69, and buried in Greenwood Cemetery. At that time, Brenda, who has a degree in political science from McMaster, was entering Osgoode Hall law school. Father would have winced about that, she says. His roots never allowed him to ever see lawyers, or the officer class, or the well-off in general in a favourable light. “He was a sweet man, that’s the best you can say about any man,” she says. 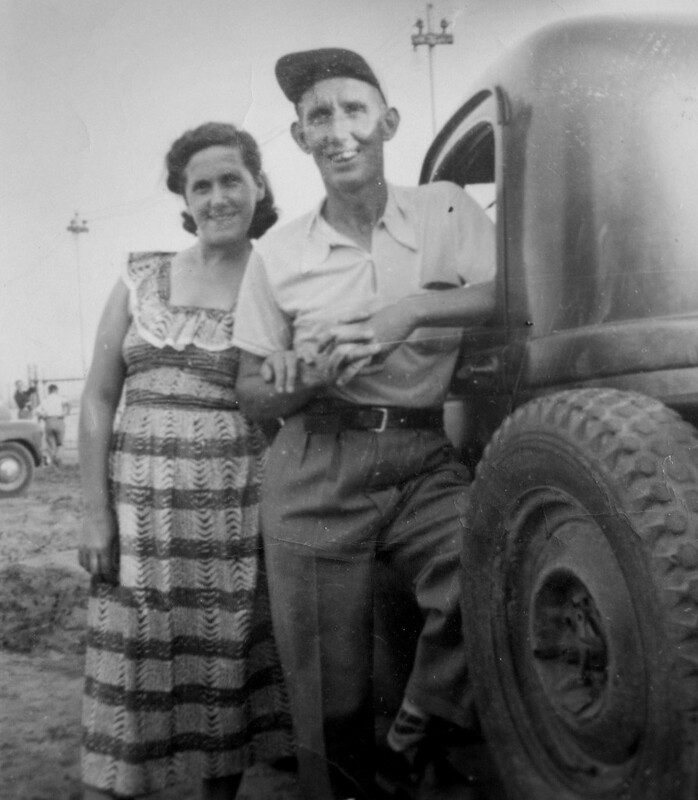 Bill Graham and his wife, Olga, after they came to Canada and settled their family in Burlington. He told Brenda bits and pieces about his life, and war years, but he was from another era, and as a Brit, you did not talk about yourself. The other night Brenda saw the Oscar-nominated movie The Imitation Game about British enigma code breakers. She says that near the end of the movie, the Bletchley Park staff is told: you never were here. Never say a word. It occurred to her that father had been told the same thing and took it to heart. There isn’t much mystery to why the man on Wickens Road one day sat down and began writing his memoirs freehand, more than 35,000 words, no computer, no Google. It was part of Bill Graham’s grieving process. Olga died young, 12 years before he did, in 1970, at 52, of cancer. 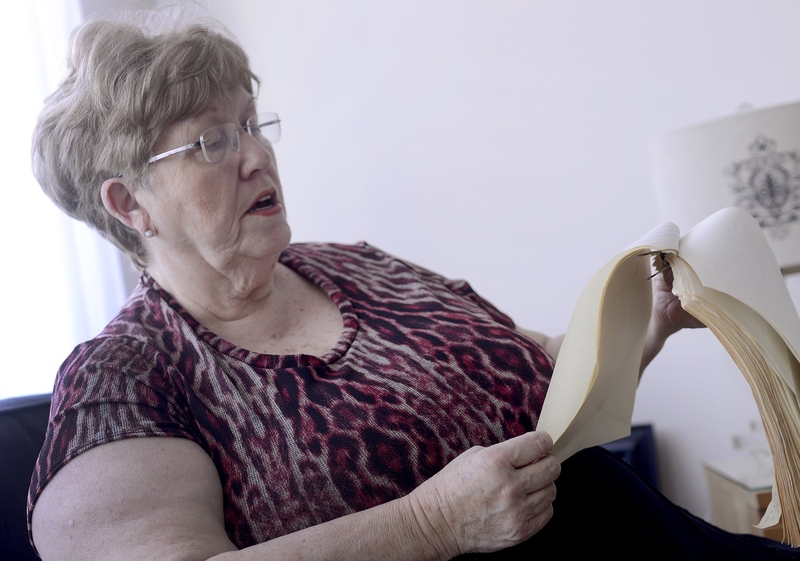 Brenda thinks it was the war taking its toll on her mom, all those years later, the accumulated stress of the bombing raids. No one was ever really the same who lived through it. “Have you ever seen two people stay in love for 35 years?” Brenda says. And maybe he wrote just to feel closer to his wife. He lived alone in the house to the end. You imagine him sitting by a solitary light, the pale green eyes hard when remembering the Desert Rats, blistering heat, shells bursting, and the moment when he and Olga first heard a Luftwaffe bomber roar over Manchester. And then his eyes soften and Graham is further back in time, where he lingers longest, because in the end we return to places of the heart more than any other. He is courting Olga. They have gone on many walks. He has built up his nerve to put his arm around her for the first time. She does not object. And then a December day, stepping off the train in Piccadilly, strolling past shops, trying to surprise her yet knowing Olga is onto him. Both of their families object to an engagement. Still he steers her into a jewellers and asks her to pick out a ring. That night, a rare dinner out, flowers and wine on the table. And the wedding day in Reddish, Manchester, Jan. 30, 1937: England at peace, Bill Graham and his lass exchanging vows in St. Agnes Church, empty but for a pastor and the Lord. Bill Graham was small in stature but lived large, serving with the British Army during the Second World War, coding telegrams sent to Winston Churchill and dining with Yugoslavia’s Marshal Josip Tito. 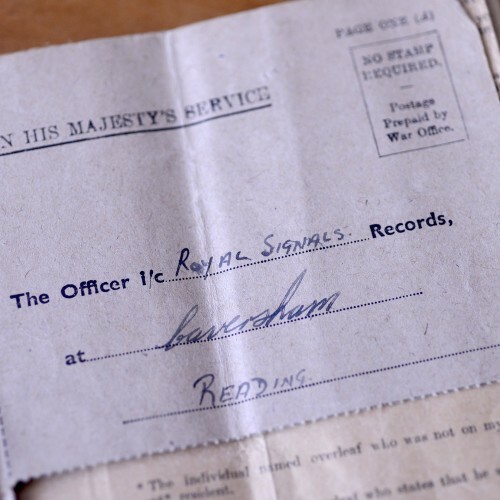 Notes that confirm William Graham’s transfer to Royal Signals. 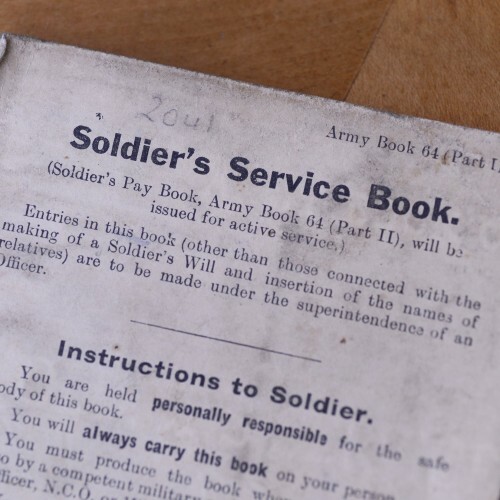 Army book that shows he was a member of the Royal Signals. 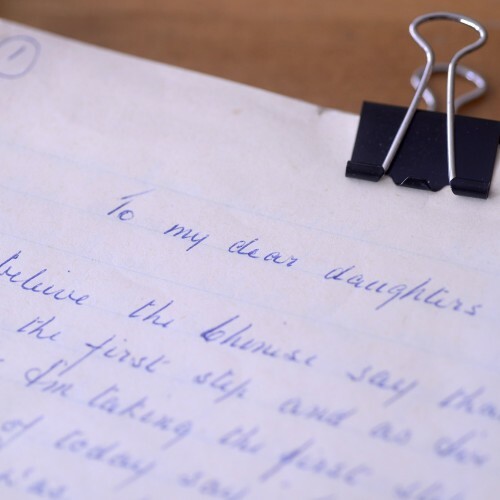 William’s journal begins ‘to my dear daughters. 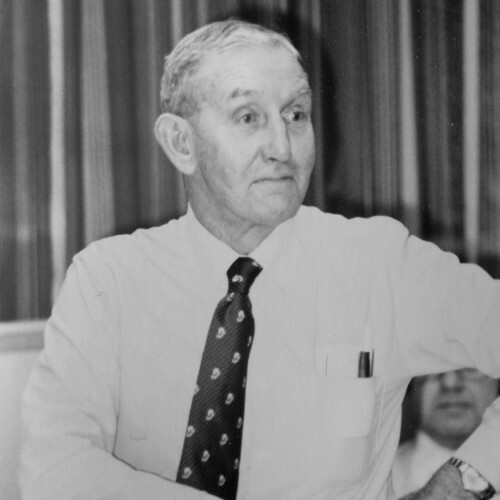 A picture of Bill Graham later in life. 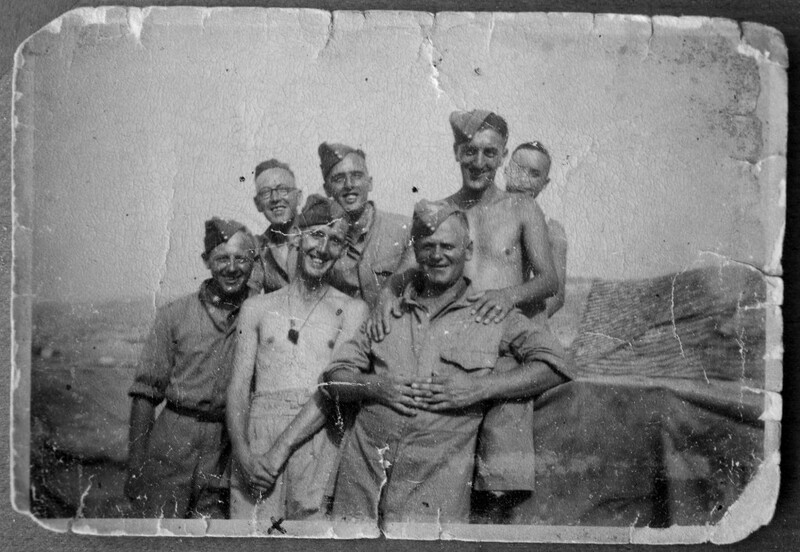 Bill Graham, front right, with buddies while fighting for the British Eighth Army Desert Rats in Africa and in present-day Israel. There are no known photos of Graham working as a code breaker in the Balkans, so secretive was his job there. 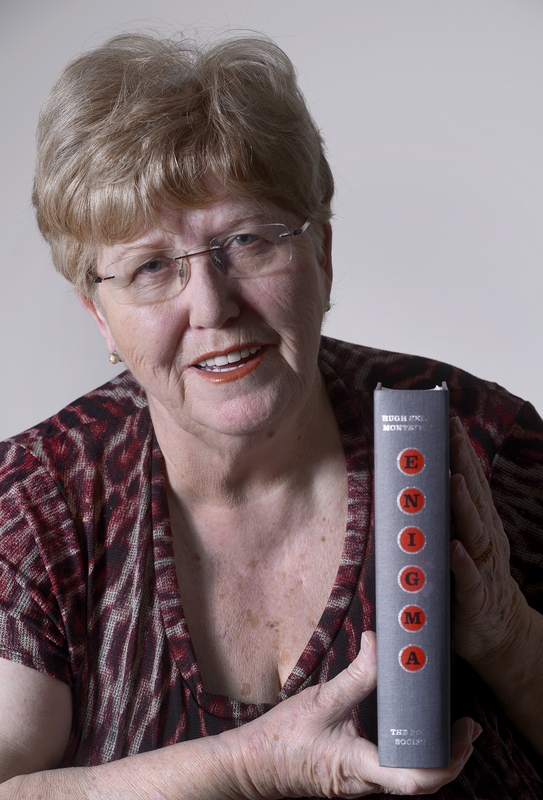  Archived in Features and tagged Brenda Cox-Graham, Enigma machine, Hamilton Ontario, William Graham, World War Two. Bookmark the permalink. This tells a great story of My GREAT UNCLE! He was my Grand Mothers Brother. He did many things for his Community also! Wonderful story, incredible to believe what the otherwise ordinary men accomplished during the war when given the chance.